There are many contributors to OpenStreetMap. There are more than five million registered OpenStreetMap users. It is impossible to adequately acknowledge the many individuals who survey their neighbourhoods with GPS and notepad to contribute the most complete, most current, most accurate data to OpenStreetMap. Also, some publishers (listed and attributed below) allow their data to be included in OpenStreetMap. If you are looking for how to attribute OSM, see Legal FAQ. Inclusion of data (including data derived from photos) in OpenStreetMap does not imply that the original data provider endorses OpenStreetMap, provides any warranty, or accepts any liability. You may wish to try and find a list of contributors in a specific area. You can do this by browsing to the desired area, and moving to the 'history' tab, which displays details of all changesets intersecting this area. Generally the display includes a large number of 'big' changesets which covered a big area, and which are less likely to include significant updates actually within your desired area (but can't be sure). Using the data layer might be the better option to view the contributors to a single map object. You can find users who have last edited all elements in an area. This information is returned in map call e.g. the data you get when you download an area in JOSM. This can also be visualised using OSM Mapper. However this may be discounting the original creators of elements (possibly a more important contribution). You can find the original creator of an element, and all users who have since edited the element, by querying its history. Through the API, your query would be of the form http://api.openstreetmap.org/api/0.6/<objtype>/<id>/history where <objtype> is: 'way' or 'node' and <id> is the ID number of the item. This would have to be performed for every node and way within the area. In addition to the individual contributions from our members, several commercial and government bodies have contributed and / or permitted to be contributed their data to OpenStreetMap. This may only be a partial list. Imports are also listed at Import/Catalogue. Borders in Turkey, Bahrain, Iran, Iraq, Ivory Coast, Jordan, Saudi Arabia, Sudan, and Syria are derived from GADM data. We have been given explicit permission to distribute the datasets for these countries under OSM licensing conditions, including commercial use. Please note that the normal GADM licence prohibits commercial use and GADM datasets are not legal data for inclusion in OSM without explicit permission from GADM. More information on GADM can be found on the GADM website. OpenStreetMap may use data from the European Union Copernicus (GMES) programme as a source of information which is being used according to EU regulation 1159/2013. In particular OSM may contain modified Copernicus Sentinel data obtained and used according to the Sentinel data terms and condition. The Licensee shall identify GeoBase® as a data source where any of the Data are redistributed, or contained within Derivative Products, and use of the Data shall not be construed as an endorsement by GeoBase® of those Derivative Products. © Department of Natural Resources Canada. All rights reserved. Use of the Data shall not be construed as an endorsement by Canada of any Derivative Products. The incorporation of data sourced from Statistics Canada within this product shall not be construed as constituting an endorsement by Statistics Canada of such product. Metrolinx is an agency of Government of Ontario to deliver mobility solutions for the Greater Toronto and Hamilton Area (GTHA). Metrolinx uses OSM data to populate the addresses in the trip planner system (triplinx). To improve the precision of address ranges information in OSM, Metrolinx design and develop an import strategy to feed missing information from StatCan 92-500-G. The information is provided under Open Data license. DataBC products are a mixture of vector and raster products. Where OpenStreetMap contributors have made use of raster data (mapping images) then any data from these within the OpenStreetMap database will have been derived, principally by hand tracing. Where DataBC products were made available in vector format, these may have been partially or completely imported into OpenStreetMap as modified vector data. Modification may include subtle positional modification, modification of data attributes, updating of data or integration of data with other data. The Government of BC does not endorse OpenStreetMap or OpenStreetMap's use of DataBC product data. More information can be found on the DataBC wiki page. OpenStreetMap data may include data from the City of Gatineau. Contains information licensed under the Creative Commons Attribution 4.0 International Public License. Formal authorization for data import can be found here. OpenStreetMap data may include data from the City of Montreal licensed under the Creative Commons Attribution 4.0 International. These data are ©Ville de Montréal. The complete dataset can be found here. Formal authorization for data import can be found here. OpenStreetMap data may include data provided by the City of Vancouver under the Open Government Licence – Vancouver license. Openstreetmap data may include data from the city of Laval, available on the Portail Données Québec. The licence is CC-By 4.0 and the city of Laval has given explicit permission for Openstreetmap. Openstreetmap data may include data from the city of Burnaby, available on City of Burnaby Open Data. OpenStreetMap contains information licensed under the Open Government Licence – Burnaby. Some post-earthquake data in and around Port-au-Prince Haiti is derived by permission from images copyright GeoEye. On 14 January 2010, GeoEye granted OpenStreetMap permission to derive data from a limited set of their aerial images related to the Haiti earthquake of Tuesday 12 January 2010. Find more information on the WikiProject Haiti Page. The Census Bureau (an agency of the U.S. Government's Department of Commerce) TIGER data base is the source for maps generated by the TIGER Map Service. The data used to create the maps are in the public domain. Thus the maps you can download from this site are in the public domain; you are free to use them as you choose. Hydrography data in the US can come from NHD. Some proposed and/or approved United States Bicycle Routing System (USBRS) route data submitted to OSM are hereby expressly noted they are from an AASHTO publication which has copyright by AASHTO, and that explicit "Permission to reproduce and post these data has been granted to OpenStreetMap US by the American Association of State Highway and Transportation Officials." OSM-US thanks AASHTO for this permission. The Prototype Global Shoreline Data set is a global satellite-derived approximation of high water line) provided by the National Geospatial-Intelligence Agency of the USA. It is assumed to be released under section 105 of the US Copyright Act and so effectively public domain, (confirmation has been requested 2011-09-29). Legal boundaries (municipios and barrios) produced by the Puerto Rico Planning Board (Junta de Planificación de Puerto Rico). All California state GIS data are specifically exempted from having any license under state law regarding "right of access to public records." Furthermore, this was upheld by the California Supreme Court. Some data regarding state parks and other "protected" areas in the state are entered from California Protected Areas Database (CPAD) data published by GreenInfo Network. CPAD contains data on lands owned in fee by governments, non-profits and some private entities that are protected for open space purposes. Data include all such areas in California, from small urban parks to large national parks and forests, mostly aligned to assessor parcel boundaries, though CPAD considers California's Department of Parks and Recreation data authoritative when it comes to state parks boundaries. From an email from Maianna Voge, Associate Director, GreenInfo Network, March 25, 2019: "CPAD is not copyrighted, you are free to use it in OSM. We usually ask for attribution (specified in the shp metadata), but that’s just a courtesy, not a requirement." It is requested, but not required, that the IndianaMap Data Sharing Initiative between IGIC, Indiana Office of Technology (IOT), Indiana Geographic Information Office (GIO), Indiana Department of Homeland Security (IDHS), Indiana Geological Survey (IGS) and participating Indiana counties be cited in any products generated from this data set. If citing, the following source citation language should be included: [COUNTY_ADDRESS_POINTS_IDHS_IN: Address Points Maintained by County Agencies in Indiana, Twentieth Harvest (Indiana Department of Homeland Security, Point feature class), 20151217]. All Maryland state GIS data is specifically exempted from having any license under state law. The passed law, Senate Bill 94 (2015) repealed the code that gave governments the authority to compel a citizen to enter into a contract (e.g. a license) before distributing geographic data. Further, all local and municipal governments within in the State of Maryland are governed by the same law. Therefore, even if a county or local government website lists a license requirement, the license is invalidated by the law. Some local governments have not updated their terms after the passage of this bill. Data from the Maryland DNR portal is in the public domain according to Dave Foreman, GIS Analyst, MD DNR. I --ElliottPlack (talk) 16:59, 20 April 2013 (UTC) spoke to Dave at the TUgis conference in 2013 and secured permission to put the data on OpenStreetMap, and that there are no use constraints. The DNR is gradually migrating their data to the Maryland Open Data GIS Portal, which operates under the same public domain license. THE PROVIDER MAKES NO WARRANTY OR REPRESENTATION, EITHER EXPRESSED OR IMPLIED WITH RESPECT TO THIS INFORMATION, ITS QUALITY, PERFORMANCE, MERCHANTABILITY, OR FITNESS A PARTICULAR PURPOSE. AS A RESULT THIS INFORMATION IS PROVIDED 'AS IS'. AND YOU, THE REQUESTER, ARE ASSUMING THE ENTIRE RISK AS TO ITS QUALITY AND PERFORMANCE. IN NO EVENT WILL THE PROVIDER BE LIABLE FOR DIRECT, INDIRECT, INCIDENTAL, OR CONSEQUENTIAL DAMAGES RESULTING FROM ANY DEFECT IN THE INFORMATION. EVEN IF ADVISED OF THE POSSIBILITY OF SUCH DAMAGES. IN PARTICULAR, THE PROVIDER SHALL HAVE NO LIABILITY FOR ANY OTHER INFORMATION, PROGRAMS OR DATA USED WITH OR COMBINED WITH THE REQUESTED INFORMATION, INCLUDING THE COST OF RECOVERING SUCH INFORMATION, PROGRAMS OR DATA. Certain post-disaster locations in the Moore, Oklahoma area are in part derived from aerial imagery provided by Bearing Tree Land Surveying, L.L.C., 4201 North Barnes Avenue, Oklahoma City, OK 73112 under the Creative Commons BY-SA license. On 2011-05-09, the Virginia Department of Transportation (VDOT) provided User:Joshdoe the following access and use constraint statement. The appropriate VDOT Division is the point of contact for any party who requires access or further information regarding this data. Please refer to the metadata to determine contact vehicles. VDOT's digital data files are for use in performing the official business of the Commonwealth of Virginia. VDOT Divisions set all policy on the allowable uses of this data. The representations of VDOT business data contained within are believed to be correct. This data is provided without any guarantee of accuracy, timeliness or completeness. No business decisions should be made based on this data without first validating its accuracy against the official Source System of Record (SSR). Users of this data are solely responsible for determining if it is appropriate for their application. Please report errors and omissions directly to the appropriate VDOT Division data owner. The City of Bothell has developed data and maps for its own use. That data is provided to third-parties by permission of the City of Bothell. The City of Bothell does not warrant, support, or endorse any third-party applications or websites that use Bothell data, even those that the City may provide links to for informational purposes to the general public. The City of Bothell does not make any representations or guarantees concerning the accuracy, currency, or completeness of the information provided by or contained in any third-party applications and websites, in part because such data may have been modified from its original source. The City of Bothell does not provide any warranty, express or implied, of the accuracy or fitness for a particular use, and the City shall not be held liable for improper or incorrect use of the data. Users access and use third-party applications and websites and the data therein at their own risk and liability. The City of Bellingham has developed these data and maps for its own use and no warranty expressed or implied is made regarding the merchantability and fitness for a particular purpose nor shall the act of distribution constitute any such warranty. It is also strongly recommended that careful attention be paid to the contents of the metadata file associated with these data to evaluate data set limitations, restrictions, or intended use. The City of Bellingham shall not be held liable for improper or incorrect use of the data described and/or contained herein. The risk or liability resulting from the use of this product is entirely assumed by the user. In a 2012-11-30 10:49PT email to User:Jeffmeyer, Neil Berry of the City of Seattle Department of Information Technology confirmed that the inclusion of the below notice on this OpenStreetMap Contributors page would suffice for crediting the source of any City of Seattle-derived data used in OpenStreetMap. Some data made available here has been modified for use from its original source, which is the City of Seattle. Neither the City of Seattle nor the Office of the Chief Technology Officer (OCTO) makes any claims as to the completeness, timeliness, accuracy or content of any data contained in this application; makes any representation of any kind, including, but not limited to, warranty of the accuracy or fitness for a particular use; nor are any such warranties to be implied or inferred with respect to the information or data furnished herein. The data is subject to change as modifications and updates are complete. It is understood that the information contained in the web feed is being used at one's own risk. In a 2012-12-09 12:05PT email to User:Jeffmeyer, George Horning, King County GIS Center Manager, confirmed that the inclusion of the below notice on this OpenStreetMap Contributors page would suffice for crediting the source of any King County-derived data used in OpenStreetMap. Data provided by permission of King County. King County provides links to third-party applications and sites that use King County data for informational purposes to the general public. King County does not warrant or support these applications or sites, nor does King County endorse or sponsor these sites. King County is not affiliated or associated in any way with these organizations. The content and views expressed on these sites are not those of King County. You access and use these links and applications at your own risk. Neither King County nor any of its employees or agents shall be liable for your use of these links and applications, nor shall they be liable for the accuracy of the information or any actions taken as a result of using the information. The State Cartographer's Office provides a wide variety of spatial datasets at http://geodata.wisc.edu/opengeoportal/. These data are covered by Wisconsin's Public Records Law, and are Public Domain. The information shown on this map was obtained from Wisconsin’s counties in 2018 and thus may not be the most current, comprehensive data available. Source data for parcel polygons was collected between January–July of 2018. However, the tax roll year for most records is 2017, as the assessment cycle lags a year behind. To ensure the most current, comprehensive parcel data, consult the local government’s land information websites first, or contact the city or county land information office directly. The next release of the statewide parcel layer, V5, is tentatively scheduled for June 30, 2019. No warranty, expressed or implied, is made regarding accuracy, completeness, or legality of the information herein. The boundaries depicted on this map do not represent the legal ownership boundaries of any property. The delineation of legal boundaries may only be conducted by a licensed surveyor. This map is not a survey of the actual boundary of any property this map depicts. OpenStreetMap contains data provided by the following sources. Banco de Dados Geográfico do Exército Brasileiro (BDGEx) - Documentation and licensing information are available at BDGEx Tile Layer. Departamento de Estradas e Rodagem do Espírito Santo (DER-ES). Instituto de Jones dos Santos Neves (IJSN). Licensing information can be found here. Labgeo/UFRGS. Data originally appeared in Hasenack, H.; Weber, E.; Marcuzzo, S. (org.). Diagnóstico Ambiental de Porto Alegre: Geologia, Solos, Drenagem, Vegetação e Ocupação. Porto Alegre: Secretaria Municipal do Meio Ambiente, 2008. 84 p.
Departamento de Estradas e Rodagem de São Paulo (DER-SP). Desenvolvimento Rodoviário de São Paulo (DERSA-SP). OpenStreetMap data may include information provided by the Dirección de Vialidad (Roads Department) from the Ministerio de Obras Públicas (Ministry of Public Works). OpenStreetMap data may include information provided by the Coordinación General de Transportes de Santiago (Directorio de Transporte Público Metropolitano in 2017) (General Transportation Coordinator of Santiago) including over ten thousand bus stops in Santiago. OpenStreetMap data may include information provided by the Secretaria de Planificación de Transporte. OpenStreetMap data may include information provided by the Gobierno Regional Metropolitano de Santiago including schools for the Metropolitan Region of Santiago. OpenStreetMap data may include information provided by the Instituto Nacional de Estadísticas, including streetnames for the biggest cities in Chile. The datasets have different licenses. City of Vienna (Stadt Wien) under CC BY 4.0 (since March 2019), (CC BY 3.0 AT (since May 2011) ). City of Linz (Stadt Linz) under CC BY 3.0 AT (since December 2011). City of Graz (Stadt Graz) under CC BY 3.0 AT (since June 2012). City of Salzburg (Stadt Salzburg) under CC BY 3.0 AT (since June 2012). Federal State of Vorarlberg (Land Vorarlberg) under CC BY 3.0 AT (since May 2012). Federal State of Tyrol (Land Tirol) licensed "gemäß CC BY 3.0 AT samt Erweiterungen zur Lizenz" (CC BY 3.0 AT with amendments) (since May 2012). Republic of Austria (Republik Österreich) under CC BY 4.0 (since March 2019), ( CC BY 3.0 AT (since April 2012) ). Environment Agency Austria (Umweltbundesamt) under CC BY 3.0 AT (since June 2012). Federal State of Styria (Land Steiermark, GIS-Steiermark) under CC BY 3.0 AT (since January 2013). Federal State of Styria (Land Steiermark, OGD-Portal) under CC BY 3.0 AT (since April 2013). Federal State of Lower Austria (Land Niederösterreich) under CC BY 3.0 AT (since April 2013). Federal State of Carinthia (Land Kärnten) under CC BY 3.0 AT (since June 2013). Federal State of Salzburg (Land Salzburg) under CC BY 3.0 AT (since July 2014). geoimage.at(wiki) (collaboration of state administrations) under special license (for OSM) (since October 2010). Release lot of data under licence Urbis Open Data compatible with « Open Government Licence » (OGL) , CC-BY 2.0 and Open Data Commons Attribution » (ODC-BY) from Open Knowledge Foundation. CRAB - database with addresses and positions (see AGIV_CRAB_Import). GRB - database with numerous geographical entries. Including f.e. waterbodies, street areas and building outlines. Most publicly accessible features (f.e. the front sides of the buildings) have been measured on the ground with great accuracy (typically better than 10cm). OpenStreetMap contains data about public transport with permission from De Lijn, the public transport company in the region of 'Vlaanderen' in Belgium. This permission does not mean OpenStreetMap is endorsed by De Lijn. Technical solutions are being implemented by OpenStreetMap contributors to keep the data accurate and up-to-date on a best effort basis. There are no guarantees however that the data is fit for any purpose. Contains a lot of maps about geography, geology, wildlife, flora,... Géoportail de la Wallonie. The project PICC released data in WMS for cartography PICC. We have explicit permission to use the GPX files provided by Grote Routepaden VZW, available through their website  for improving GR routes in Flanders. Bosnian news portal Klix.ba and their photographer Edin Hadžihasić have explicitly released their drone photos for tracing in OSM. The imagery is accessible on mapwarper.net under the tag "klix.ba". See Da:Permissions for details and current status. Provided a complete set of aerial imagery from 2005 covering all of Denmark for use by OpenStreetMap. More details can be found here. Provided a dump of all address points from 2002. More details here. Provided building data (and more?). Web service run by IT & Telestyrelsen which provides access to updated address data. License information. Provided a comprehensive set of data including buildings, water features, roads as well as high-resolution aerial imagery covering Stevns. More info here. SDFE (earlier called Geodatastyrelsen) provides a 100 % aerial imagery coverage of Denmark in 10 cm resolution, photographed in the spring and released in december same year. Since 2015 it is being updated every year. They also provide building data for the country. License information. It's like a CC-BY license more information in Danish. The City of Copenhagen provides open data through Open Data DK. The data includes road markings, and a map is available here. The license is similar to CC0 and CC-BY, see license information in Danish. Contains data from the National Land Survey of Finland Topographic Database 08/2013. License. Contains data from Finnish Transport Agency (under CC 40 BY) with explicit permission, that was retrieved from National Road and Street Database Digiroad on 21st of December, 2016 and on 30th of March, 2017. Licensed under CC-BY 4.0 International License. Bus stops, 2012 revision. Data has been modified. Aerial imagery provided by Helsinki Region Infoshare, licensed under CC-BY 4.0 by the municipalities of Espoo, Helsinki, Vantaa, Kirkkonummi and Nurmijärvi + Helsinki Regional Transport Authority (HSL) and Helsinki Region Environmental Services Authority (HSY). Contains building outlines provided by City of Vantaa. Contains building outlines provided by City of Espoo. Contains building outlines provided by City of Helsinki. Contains public transport data such as routes, stops etc. provided by Helsinki Regional Transport Authority, licensed under CC-BY-4.0 with OSM waiver. Contains cadastral data sourced from the Direction Générale des Impôts, now the Direction Générale des Finances Publiques (DGFiP). Seit dem 17.01.2013 stellt Baden-Württemberg gewisse amtliche Geodaten kostenlos unter CC-BY 3.0 zur Verfügung. In der zugehörigen Pressemitteilung wird OpenStreetMap erwähnt. Die Namensnennung hat in folgender Weise zu erfolgen: "Datenquelle: LGL, www.lgl-bw.de". Digitale Orthophotos DOP80 (Bodenauflösung 80 cm) http://www.geodaten.bayern.de/ogc/ogc_dop80_oa.cgi? Digitale Orthophotos DOP200 (Bodenauflösung 2 m) http://www.geodaten.bayern.de/ogc/ogc_dop200_oa.cgi? Die Daten bleiben im Besitz der Bayerischen Vermessungsverwaltung, dürfen aber zum Abzeichnen benutzt werden. English: Under CC-BY Creative Commons Attribution 3.0 German License (Datenquelle: Bayerische Vermessungsverwaltung – www.geodaten.bayern.de). See  for more information. Only the data licensed under CC-BY may be used for OSM! Die Stadt Erlangen stellt ihr Luftbild 2016 unter der Creative Commons Namensnennung 4.0 International (CC BY 4.0) zur Verfuegung (Attribution: © Stadt Erlangen | © GEOCART GmbH). Es gibt einen Extra-Absatz in den Lizenzbedingungen der explizit die Nennung unter den Contributors als fuer OSM ausreichend definiert. Die Stadt Erlangen stellt ihr Luftbild 2018 unter der Creative Commons Namensnennung 4.0 International (CC BY 4.0) zur Verfuegung (Attribution: © Stadt Erlangen | © Hansa Luftbild AG). Es gibt einen Extra-Absatz in den Lizenzbedingungen der explizit die Nennung unter den Contributors als fuer OSM ausreichend definiert. The city of Erlangen provides their Aerial Imagery 2016 and 2018 under Creative Commons Attribution 4.0 International (CC BY 4.0) (Attribution 2016: © Stadt Erlangen | © GEOCART GmbH; Attribution 2018: © Stadt Erlangen | © Hansa Luftbild AG). There is an extra section in the license restrictions permitting use for OSM by declaring the "attribution" satisfied with this Contributors listing. Die Berliner Senatsverwaltung für Stadtentwicklung und Umwelt (SenStadtUm) stellt seit dem 1. Oktober 2013 Geodaten unter an CC-BY angelehnten Nutzungsbedingungen bereit. Die in § 2 geforderte erkennbare und in optischem Zusammenhang Einbindung der Quellenverweise wird lt. SenStadtUm nur gefordert, wenn die Geodaten einen überwiegenden Anteil im Folgewerk haben. Wenn die veränderten Geodaten nur einen untergeordneten Anteil an dem Folgeprodukt haben, dann kann der Quellenvermerk für abgeleitete Werke auch an einer anderen Stelle (also hier) angebracht werden. Der Quellenvermerk lautet: Geoportal Berlin / [Titel des Datensatzes] und soll in das source-Tag der Changesets aufgenommen werden. Weitere Hinweise zur Nutzung des Geoportals Berlin in OSM. Auf dem Portal www.daten.bremen.de stellt die bremische Verwaltung Datensätze zur Verfügung. Diese können aus den unterschiedlichsten Bereichen stammen z.B. Umwelt, Verkehr, Wetter, Statistik, Geoinformationswesen, Bildung, Gesundheit oder Finanzen. Von OSM werden davon vollständig oder teilweise genutzt. Als Referenz wird das Feld STRASSE benutzt. Umweltbetrieb Bremen (UBB): Parkbänke in öffentlichen Grünanlagen und auf kommunalen Friedhöfen. In Changesets verkürzt als: HH LGV <Jahr>. Die Layer in JOSM heißen u.A. Hamburg DK5, Hamburg 40cm und Hamburg 20cm. Denkmalliste Hamburg, Daten auch auf Karte und als Dokument verfügbar. In Changesets verkürzt als Denkmalliste Hamburg. Der VRR veröffentlicht seit dem Herbst 2017 Daten im OpenData-Portal OpenVRR. Diese stehen unter der Lizenz Open Data Commons Attribution License (odc-by). In den Datensatzbeschreibungen steht "Wenn die Daten der Verkehrsverbund Rhein-Ruhr AöR (VRR AöR) Bestandteil des OpenStreetMap Datenbankwerkes werden, genügt eine Nennung der VRR AöR in der Liste der Beitragenden. [...]". Die Daten sind eine sehr nützliche Ergänzung zu den bereits bestehenden Möglichkeiten wie dem VRR EFA OSM Projekt, die Zusammenarbeit ist hier beschrieben. Der VRS trägt seit 2010 Daten zum Projekt bei. Mit Freigabeschreiben vom 10.10.2018 wird der öffentlich zugängliche Teil des Internetauftrittes der Verkehrsverbund Rhein-Sieg GmbH zur Verbesserung des OpenStreetMap-Datenbestandes freigegeben. Die Stadt Köln, Amt für Stadtentwicklung und Statistik veröffentlicht durch E-Government und Online-Dienste unter www.offenedaten-koeln.de u.a. die amtlichen Geodaten als Shape-Dateien unter ccby3.0de. Unter anderem wurden veröffentlicht: administrative Grenzen (level6-11) und Adressen des Stadtgebietes. Das OpenData-Portal der Stadt Moers stellt Datensätze zum Download bereit. Die Datensätze stehen weitestgehend unter der Datenlizenz Deutschland. Für die Nutzung der Daten in der OpenStreetMap ist das Objekt mit Tag:source=offenedaten.moers.de zu taggen. Außerdem wird empfohlen, den DE:Changeset ebenfalls mit Tag:source=offenedaten.moers.de zu versehen. Sollte an einem Objekt mehrere Quellen verwendet worden sein, so sollten die Werte entweder mit Semikolon getrennt werden (source=bing;offenedaten.moers.de) oder mehrere key:sources eintragen (source:addr=offenedaten.moers.de und source:geo=bing). Die Stadt Bielefeld, Amt für Geoinformation und Vermessung, veröffentlicht im Open Geodata Portal (http://www.bielefeld01.de/geodaten2/opengeodata/index.php) auch die bielefeldKARTE als WMS unter Creative Commons Attribution 4.0 International (CC BY 4.0). Bei Nutzung der bielefeldKARTE als Datengrundlage in OSM ist kein Quellenvermerk erforderlich. Die bielefeldKARTE ist die tagesaktuelle Basiskarte der GDI Bielefeld und nutzt Daten aus ALKIS (Gebäude, Hausnummern, administrative Grenzen, tatsächliche Nutzung) und OSM für die Objektdarstellung. Die Bundesstadt Bonn, Amt für Organisation und Informationstechnologie veröffentlicht unter OpenData.bonn.de u.a. die amtlichen Geodaten als Shape-Dateien unter Datenlizenz-Deutschland Namensnennung-Version 1.0. Für die Nutzung der Daten in der OpenStreetMap ist das Objekt mit source=Datenquelle: Bundesstadt Bonn-OpenData.Bonn.de zu taggen. Naturschutzgebietsdaten werden von Landesamt für Umweltschutz Sachsen-Anhalt importiert. Die Erlaubnis zur Nutzung ist auf der Import-Seite angegeben. Die Daten werden mit source=Landesamt für Umweltschutz Sachsen-Anhalt, source:metadata=http://www.metaver.de/trefferanzeige?cmd=doShowDocument&docuuid=A16D544B-6DB0-47EA-8285-C1BC2ED2F418&plugid=/ingrid-group:dsc-adr-ST getaggt. See CORINE information page (in Hungarian). GYSEV contributed vector data of railway network in April, 2014. MAVIR contributed vector data of power lines in January, 2015. Some address data has been imported from Þjóðskrá Íslands using Staðfangaskrám released under OGL. See Staðfangaskrá Import. Contains data by the Regional Administration of Piedmont provided by Dati Piemonte released under cc-by 2.5 license or creative commons zero - public domain dedication. Contains data by the Regional Administration of Tuscany provided by Dati Toscana and Giroscopio] released under cc-by 3.0 license. Contains data by the Regional Administration of Apulia provided by SIT Puglia released under "open by default" cc-by 4.0 license. Contains data by the Regional Administration of Emilia Romagna provided by Geoportale E-R released under cc-by 2.5 license with an additional explicit permission. Contains data provided by Sistema Informativo Territoriale Ambientale - Provincia di Biella released under CC-BY-3.0 IT license. Contains data from based maps of City of Biella provided by Biella Open Data released under IODL 2.0 - Italian Open Data License. Contains data based on imagery from the City of Bologna provided by Comune di Bologna Open Data released under CC-BY 4.0 ODbL compliant. Contains data from base maps of City of Lecce provided by Lecce Open Data released under CC-By 4.0 - Creative Commons Attribution 4.0. Contains data from "Comune di Merano, Ufficio Urbanistica, Servizio GIS". Contains data from based maps of City of Palermo provided by CARTA TECNICA COMUNALE - UNITÀ VOLUMETRICHE released under - CC BY 4.0. Contains data from maps of City of Reggio nell'Emilia provided by Opendata Comune di Reggio Emilia released under CC-By 4.0 - Creative Commons Attribution 4.0. Contains data from based maps of City of Venice provided by Cartografia di base del Comune di venezia released under IODL 2.0 - Italian Open Data License. Contains data in shape and csv format relative to streets and addresses of Verona municipality provided by Comune di Verona released under IODL 2.0 - Italian Open Data License. 510 gave permission to import roof shape and roof material data set for St. Maarten (SXM) under the ODbL licence. The Dutch rail infrastructure owner provides public data through OpenOV and gave permission to make use of their downloadable RailMaps content. Railmaps is ProRail's GIS database. Kadaster / Beeldmateriaal gave permission to use the aerial photo (luchtfoto) WM(T)S released under the CC-BY 4.0 licence. The Dutch Ministry of Infrastructure and the Environment gave permission to use the Basisregistratie Grootschalige Topografie (BGT) and Basisregistratie Topografie (BRT) released under the CC-BY 4.0 licence. The Dutch Ministry of the Interior and Kingdom Relations (BZK) gave permission to use the Digitale kadastrale kaart(DKK) released under the CC-BY 4.0 licence. Centraal Bureau voor de Statistiek, gave permission to use the Wijk en buurtkaart released under CC-BY 3.0 licence. Contains data from Kartverket (Norwegian Mapping Authority) released under the CC BY 4.0 licence. More information. Contains data from Norsk Polarinstitutt (Norwegian Mapping Authority) released under the CC BY 4.0 licence. More information. Contains data from Miljødirektoratet (Norwegian Environment Agency). More information released under the Norwegian Licence for Open Government Data (NLOD). More information. Contains data from Riksantikvaren (Norwegian Directorate for Cultural Heritage) released under the NLOD license. More information. Contains data from Norges vassdrags- og energidirektorat (the Norwegian Water Resources and Energy Directorate) released under the NLOD. More information. Contains data from Kystverket (Norwegian Coastal Administration) released under the NLOD license. More information. Contains data from Fiskeridirektoratet (Norwegian Directorate of Fisheries) released under the NLOD license. More information. Contains data from Direktoratet for mineralforvaltning (Norwegian Directorate of Mining) released under the NLOD license. Contains data from the Norwegian Directorate for Education and Training (Utdanningsdirektoratet) released under the NLOD license. More information. Contains data from Norwegian Directorate for Civil Protection) (Direktoratet for samfunnssikkerhet og beredskap (DSB)) released under the NLOD license. More information. Contains data from Norwegian Directorate of eHealth (Direktoratet for e-helse). More information. Contains data from Brønnøysund Register Centre (Brønnøysundregistrene). More information. Contains libraries from BaseBibliotek. More information. Contains stop places from the National stop register released under the NLOD license. More information. Contains data from Kirkelig arbeidsgiver- og interesseorganisasjon (Norwegian Association for Church Employers) released under the NLOD license. More information. By permission of NLOD license: "Inneholder data under Norsk lisens for offentlige data (NLOD) tilgjengeliggjort av Kolumbus". Position, ref and name for highway=bus_stops merged into OSM from from Kolumbus.no's GTFS stops.txt. Contains recycling stations from Sortere.no released with explicit permission to OSM. More information. Contains dental clinics from hvakostertannlegen.no released with explicit permission to OSM. More information. Contains data from Municipality of Oslo) (Oslo kommune] released under the NLOD license. More information. Bergen kommune has provided data on playgrounds in Bergen under the Norwegian Licence for Open Government Data (NLOD). More information. Sørum kommune has provided geodata with foot and cycle routes and cross-country ski pistes in Sørum municipality, which is included in OpenStreetMap with from Sørum kommune. More information. Contains data from the UMP pcPL project (http://ump.waw.pl/ and also in English) and owned by this project's contributors. This is a community project in Poland very similar in spirit to OSM but with a focus on providing very high-quality road data for Garmin GPS devices. Donated 30GB of tracks (available under NorcTracks account) and the possibility to derive data from their street-view like images for all the countries. See Norc website for more information. Data published on the Open Data Portal are licensed under the OGL-ROU license. Attribution: "Conține informații publice în baza Licenței pentru Guvernare Deschisa v1.0" and a link to the date.gov.ro website. Base data in and around city of Rybinsk by Administration of Rybinsk. Some data in the Moscow City is imported from the Moscow Open Data Portal with permission by the Department of Information Technology. Original data (c) Moscow City Government, CC-BY 3.0. Data for some towns in Zabaykalsky Krai was provided by BaikalNavi. 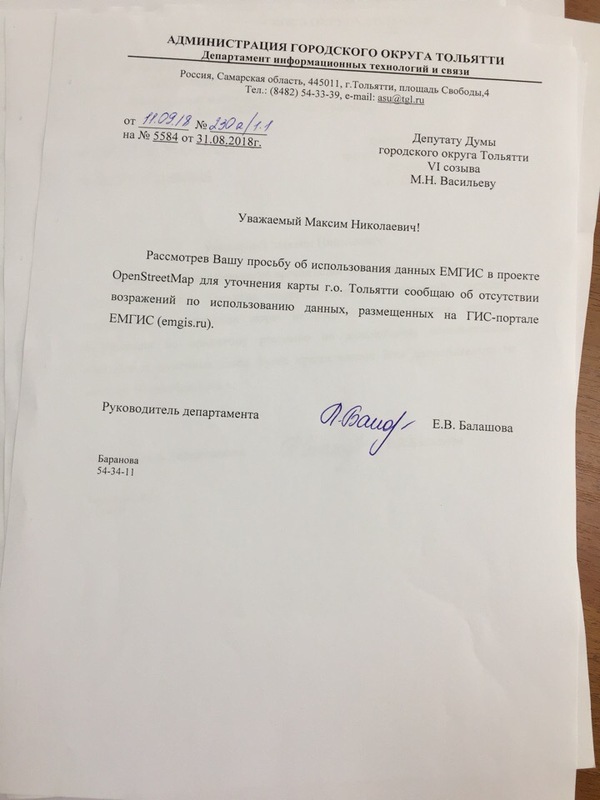 Administration of Togliatti gives permission to use data from EMGIS. Data with source=ofmozaika derived from National forestry center (Národné lesnícke centrum vo Zvolene) and Cartography and Cadastre Authority Bratislava (Geodetický a kartografický ústav Bratislava) imagery. © GKÚ, NLC; r.2017. 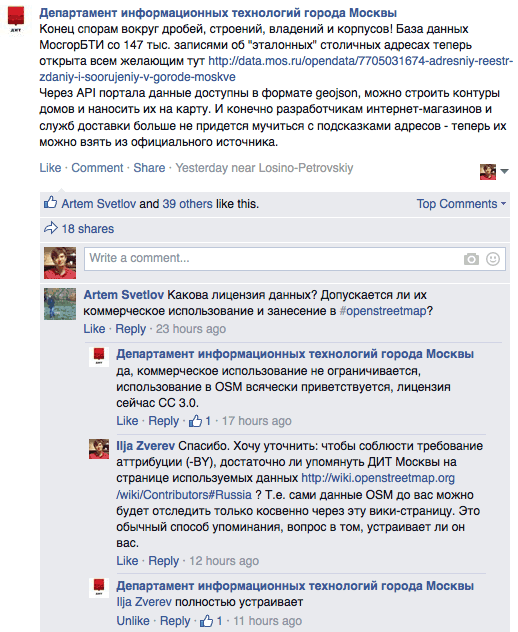 See the original license(es) and the open letter the IGN wrote to the OSM community. Attribution for the aerial imagery (PNOA): "Obra derivada de OrtoPNOA 2004-2019 CC-BY 4.0 scne.es"
Attribution for the Basic Geographic Nomenclature of Spain: "Obra derivada de NGBE 2010-2019 CC-BY 4.0 ign.es"
Attribution for the Nomenclature of Municipalities and Population Entities: "Obra derivada de NGMEP 2011-2019 CC-BY 4.0 ign.es"
Attribution for the Administrative boundaries: "Obra derivada de BDLJE 2009 CC-BY 4.0 ign.es"
Attribution for CORINE-Land Cover: "Obra derivada de CORINE-Land Cover 2006 CC-BY 4.0 scne.es"
Attribution for the National Geodetic Network: "Obra derivada de VGN 2007 CC-BY 4.0 ign.es"
Attribution for the High Precision Leveling Network: "Obra derivada de REDNAP 2011 CC-BY 4.0 ign.es"
Attribution for all other datasets: "Obra derivada 2004-2019 CC-BY 4.0 ign.es"
Attribution: "Contiene direcciones y edificios derivados de los Servicios INSPIRE de Cartografía Catastral de la Dirección General del Catastro, del Ministerio de Economía y Hacienda del Reino de España"
Address data derived from Zaragoza Open Data under a specific Open Data License(es). Attribution: "Contiene datos de direcciones derivados del Callejero de Zaragoza 2013, Ayuntamiento de Zaragoza"
Building data derived from CartoBCN under the CC BY 4.0. The city council has signed a waiver(ca) giving us permission to use their CC BY 4.0 data from CartoBCN and their Open Data BCN Portal to improve OSM. Attribution: "Contiene datos hidrográficos derivados de los descargados del sitio web de la Confederación Hidrográfica del Segura 2014-2015"
Attribution: "Contiene datos de farmacias, fuentes de agua potable, museos, aparcamientos para bicicletas, oficinas de correos, paradas de taxi, lugares de culto, cementerios y puntos de información turística derivados de datos descargados del Portal de Datos Abiertos del Ayuntamiento de Madrid 2016-2019"
Attribution: "Contiene datos de salas de exposiciones, centros de arte, centros sociales, parques, espacios naturales, monumentos, puntos de observación, centros educativos, centros de salud, servicios municipales, servicios sociales, suministros, emergencias y cementerio derivados de datos descargados del Portal de Transparencia del Ayuntamiento de Castro Urdiales 2017"
Contains address data derived from the Unified Digital Street Map of Andalusia under CC BY 4.0. See: Import CDAU. Attribution: "Contiene datos de direcciones derivados del Callejero Digital de Andalucía Unificado 2018-2019"
Attribution: "Consell Insular de Menorca - Infraestructura de Dades Espacials de Menorca"
Provides information via geoEuskadi under CC BY 3.0 with permission. Attribution: "Eusko Jaurlaritza / Gobierno Vasco. geoEuskadi"
Provides information via Málaga City Council Open Data site under CC BY-SA 3.0 Spain with permission. Addresses for all of Switzerland (see Switzerland/GWR). Data derived from orthophotos supplied by the Canton Aargau AGIS (see Switzerland/AGIS) . Data derived from orthophotos supplied by the Canton Basel Stadt. Address data for the Canton Berne partially derived from Gebäudeadressen des Kantons Bern © Amt für Geoinformation des Kantons Bern (GEBADR). Data about ground and land (such as building outlines) is also available from the Canton of Bern provided by Amtliche Vermessung vereinfacht © Amt für Geoinformation des Kantons Bern (MOPUBE). Attribution: "Geodaten des Kantons Schaffhausen"
Data derived from orthophotos supplied by the Canton Thurgau Thurgis (see Switzerland/Luftbilder Thurgau) . See Sv:Permissions for details and current status. Includes data from Lantmäteriet licensed under CC0. More information. Includes data from Trafikverket licensed under CC0. More information. Includes data from Stockholm municipality licensed under CC0. More information. Includes data from Lidingö municipality licensed under CC0. More information. Includes data from Helsingborg municipality licensed as Public domain. More information. Includes data from Linköping municipality licensed under CC-BY 4.0. More information. Includes data from Kalmar municipality. More information. Includes Skåneleden hiking trails provided by Stiftelsen Skånska Landskap. See Skåneleden project page for more details. Includes raster data for land use for the whole territory of Sweden licensed under CC0. More information: . Bus Times contains Bus Route Data in the UK. Attribution: " Contains public sector information licensed under the Open Government Licence v3.0." Required attribution is not clear, presumably Attribution: "© Crown copyright and database right [year]." is appropriate. Data from the Food Safety Agency's Food Hygiene Rating Scheme are licensed under the OGL. Attribution: "© Crown copyright and database right [year]." Network Rail periodically release updated documents containing route information including speed limits, line of route codes, engineers line references and other restrictions. Correspondence to Network Rail have concluded that we are welcome to use the data on OSM as long as it's attributed to Network Rail. Copies of the Sectional Appendix can be found here. Required attribution is not clear, presumably Attribution: "© Crown copyright and database right 2011." is appropriate. Natural England have provided some datasets under the Open Government License. Attribution: "© Natural England copyright 2012. Contains Ordnance Survey data © Crown copyright and database right 2012." Polygons for designated "Access Land", included in the "CRoW Act 2000 - Access Layer" from http://environment.data.gov.uk/ds/catalogue/#/catalogue. Suggested source tag: natural_england_crow_act_access_layer. Attribution: "ONS: Source: Office for National Statistics licensed under the Open Government Licence v.1.0." The OpenStreetMap Database covering the United Kingdom "Contains Ordnance Survey Data © Crown copyright and database right 2010." Contains public sector information licensed under the Open Government Licence v1.0. Specifically OpenStreetMap has used products released by Ordnance Survey as part of the OpenData™ suite on 1st April 2010. OpenStreetMap contributors are asked to also add a source tag to data entered into OpenStreetMap where this has specifically originated from an Ordnance Survey OpenData™ product. Ordnance Survey OpenData™ products are a mixture of vector and raster products. Where OpenStreetMap contributors have made use of raster data (mapping images) then any data from these within the OpenStreetMap database will have been derived, principally by hand tracing. Where Ordnance Survey OpenData™ products were made available in vector format, these may have been partially or completely imported into OpenStreetMap as modified vector data. Modification may include subtle positional modification or modification of data attributes. Ordnance Survey does not endorse OpenStreetMap or OpenStreetMap's use of Ordnance Survey OpenData™ product data. The OS OpenData Product Code-Point Open is available for use in OSM under the Open Government Licence v3, but has its own additional attribution requirements: Contains OS data © Crown copyright and database right 2016; Contains Royal Mail data © Royal Mail copyright and Database right 2016; Contains National Statistics data © Crown copyright and database right 2016. We have been given explicit permission from Emu Analytics via a waiver form to use English Urban Areas Building Heights data in OpenStreetMap. Attribution: "English Urban Areas Building Heights by Emu Analytics is licensed under CC BY 4.0"
The following councils have given permission for certain data they hold on public rights of way to be used in OpenStreetMap. These data are not the only source used to help map rights of way in OSM, and the use of these data does not imply that OSM's representation of public rights of way is complete or accurate. Nor does the use imply that the councils endorse OSM or its use of the information. Attribution: "Contains public sector information from Birmingham City Council licensed under the Open Government Licence v3.0 http://www.nationalarchives.gov.uk/doc/open-government-licence/version/3/"
Attribution: "Public Rights of Way, Cambridgeshire County Council, 5th May 2017, licensed under the Open Government Licence http://www.nationalarchives.gov.uk/doc/open-government-licence/version/3/"
Attribution: "Contains public sector information from Cornwall Council licensed under the Open Government Licence v3.0 http://www.nationalarchives.gov.uk/doc/open-government-licence/version/3/"
Attribution: "Contains public sector information from Derbyshire Council licensed under the Open Government Licence v3.0 http://www.nationalarchives.gov.uk/doc/open-government-licence/version/3/"
Attribution: "Contains Public Sector information from Devon County Council, licensed under the Open Government Licence v3.0 http://www.nationalarchives.gov.uk/doc/open-government-licence/version/3/"
Attribution: "Contains public sector information from Dudley Metropolitan Borough Council licensed under the Open Government Licence v3.0 http://www.nationalarchives.gov.uk/doc/open-government-licence/version/3/"
Attribution: "Contains public sector information from Gloucestershire Council licensed under the Open Government Licence v3.0 http://www.nationalarchives.gov.uk/doc/open-government-licence/version/3/"
Attribution: "OpenStreetMap uses data that is public sector information from The East Riding of Yorkshire Council. The data is licensed under the Open Government Licence v3. The date of the data is 07.02.2018." Disclaimer: "An authority's Definitive Map and Statement is the authoritative source of information about the Public Rights of Way in that authority's area. The details of the Public Rights of Way network contained in the data supplied on this page are for information only, and are an interpretation of the Definitive Map and Statement, not the Definitive Map itself and should not be relied on for determining the position or alignment of any Public Right of Way. For legal purposes, the data does not replace its Definitive Map and Statement and changes may have been made to the Definitive Map and Statement that are not included in this data. The data contains Ordnance Survey Data © Crown copyright and database right 2018. Attempting to view this data at a scale greater than 1:10000 may produce an inaccurate rendering of the route of the Public Right of Way. In terms of re-use; this information is available for re-use but the East Riding of Yorkshire Co uncil must be referenced as the source." Attribution: "Contains Public Sector information from East Sussex County Council, licensed under the Open Government Licence http://www.nationalarchives.gov.uk/doc/open-government-licence/version/3/"
Hampshire -- Permission to use its PRoW GIS data under the OGL v3. Also permission to use its Definitive Statements, List of Roads Maintained at Public Expense, and List of Traffic Regulation Orders under the OGL v3. Attribution: "Contains Public Sector information from Hampshire County Council, licensed under the Open Government Licence http://www.nationalarchives.gov.uk/doc/open-government-licence/version/3/". Herefordshire -- Permission to use its Public Rights of Way GIS data under the OGL v3. Attribution: "Contains public sector information from Herefordshire Council licensed under the Open Government Licence v3.0." Hertfordshire -- Permission to use its Definitive Statements under the OGL. Attribution: "Contains public sector information from Hertfordshire County Council licensed under the Open Government Licence v1.0." Attribution: "Contains public sector information licensed under the Open Government Licence v3.0. ‘Contains OS data © Crown copyright and database rights 2017"
Norfolk -- Permission to use its Definitive Statements under the OGL. Attribution: "Contains public sector information from Norfolk County Council licensed under the Open Government Licence v1.0." Attribution: "Contains public sector information licensed under the Open Government Licence v3.0. Contains OS data © Crown copyright [and database right] (year)"
Nottingham City Council -- Permission to use its Definitive Statements under the OGL. Attribution: "Contains public sector information licensed under the Open Government Licence v1.0. Contains Ordnance Survey data © Crown copyright and database right [year]." Oxfordshire -- Permission to use its PRoW GIS data under the OGL v3. -- Permission to use its Definitive Statements under the OGL. Attribution: "Contains public sector information from Oxfordshire County Council licensed under the Open Government Licence v3.0." Somerset -- Permission to use its PRoW GIS data under the OGL v3. Disclaimer: "The precise line of a right of way can only be determined by reference to the Definitive Map (1:10560 scale). Somerset County Council can accept no responsibility for any error or inaccuracy which may arise from the transposition of the Definitive Map to a different scale." Suffolk -- Permission to use its Definitive Statements under the OGL. Attribution: "Contains public sector information © Suffolk County Council licensed under the Open Government Licence v2.0. The information should not be presumed to be accurate." -- Permission to use its List of Streets  under the OGL. Attribution: "Contains public sector information © Suffolk County Council licensed under the Open Government Licence v3.0. The information should not be presumed to be accurate." -- Permission to use its list of Traffic Regulation Orders affecting Public Rights of Way  under the OGL. -- Permission to use GIS data and electronic working copy of the definitive statements as at 16 September 2015 under the OGL v3 (source). Attribution/disclaimer: "OpenStreetMap uses data that is public sector information from Suffolk County Council. The data is licensed on terms equivalent to the Ordnance Survey OpenData Licence. The date of this data is 16 September 2015. An authority's Definitive Map and Statement is the authoritative source of information about the public rights of way in that authority's area. The details of the public rights of way network contained in the data supplied are for information only, and are an interpretation of the Definitive Map and Statement, not the Definitive Map itself, and should not be relied on for determining the position or alignment of any public right of way. For legal purposes, the data does not replace its Definitive Map and Statement and changes may have been made to the Definitive Map and Statement that are not included in this data. The data contains Ordnance Survey data © Crown copyright and database right 2015. Attempting to view this data at a scale greater than 1:10000 may produce an inaccurate rendering of the route of a public right of way." Attribution: "The Warwickshire County Council has licensed public sector information under the Open Government Licence v3.0. The Warwickshire County Council is not liable for any loss, injury or damage of any kind caused by reliance on this information and you should not rely on this information to determine where paths exist. The Definitive Map and Statement provide the legal record of public footpaths, bridleways, restricted byways and byways open to all traffic in Warwickshire: www.warwickshire.gov.uk/definitivemap"
Attribution: "Contains public sector information from Worcestershire County Council licensed under the Open Government Licence v3.0." Permission to use its Definitive Statements under the OGL v1. Attribution: "Contains public sector information from Worcestershire County Council licensed under the Open Government Licence v1.0." Norfolk -- Permission to use its List of Streets under the OGL. Attribution: "Contains public sector information from Norfolk County Council licensed under the Open Government Licence v2.0." Suffolk -- Permission to use its List of Streets  under the OGL. As part of its Project Drake the University of Cambridge commissioned surveys of its entire estate and its associated colleges down to the level of buildings and entrances. This data comprising all 31 colleges and thousands of manually surveyed locations has kindly been contributed to OpenStreetMap. OpenStreetMap contributors use the Land Registry Price Paid Data as a source for address data. This data is published under the OGL and the following attribution is required. This data covers the transactions received at land Registry in the period 01/02/2012 to the last day of the current month. © Crown copyright 2012. In January 2018, Post Office Ltd provided a dataset containing details of Post Office branches, together with permission to use it under the Open Government Licence v3. The required attribution is the default "Contains public sector information licensed under the Open Government Licence v3.0." Suggested source tag: source=pol_branch_list_2018-01. The Department for Environment, Food and Rural Affairs published a database of registered common land in England in 2015 (the database was current as of 2000). It is licensed under the OGL v3 with no specific attribution statement required. Africover (africover.org) and DELPHA (depha.org) are UN agencies that maintain collections of public domain GIS base layer data for a number of countries in Africa. See Africover/DEPHA for details about the agreement. The current coverage of these sources include basic data (first for roads and rivers) for Burundi, Democratic Republic of the Congo, Egypt, Eritrea, Ethiopia, Kenya, Rwanda, Somalia, Sudan, Tanzania, Uganda. Data collected by the Enugu State in Nigeria and Upande Ltd, Nairobi, Kenya. Contains data sourced from Chief Directorate: National Geo-Spatial Information, State copyright reserved. Contains data sourced from GIS Project of KKL Land Development Authority, Israel. KKL Land Development Authority gives no warranty in relation to the data, including its accuracy, reliability and suitability and accepts no liability whatsoever in relation to any loss, damage or other costs relating to the use of any data, any compilations, derivative works or modifications of the data. Contains data provided by the Tel Aviv Yafo Municipality under the terms of this license (in Hebrew). The Tel Aviv Yafo Municipality accepts no liability relating to use of the data; for further details on this subject please consult the license. PACI maintains streets and addresses for Kuwait. Data referenced from PACI should be attributed in the source tag. Data from Abu Dhabi's new street and address system, "Onwani" is available for use in OpenStreetMap. This is an ongoing project with new street names and addresses to be added throughout the emirate. Government agency MLIT (Ministry of Land, Infrastructure, Transport and Tourism), Japan provide numeric geo data in public. Yahoo! Japan announces that they provide their ALPS map data to OpenStreetMap in ODbL in 2011 March. It helps much for disaster recovery and map growing in Japan. "Contains data sourced from local units of the Bureau of Fire Protection. The agency gives no warranty in relation to the data, including its accuracy, reliability and suitability and accepts no liability whatsoever in relation to any loss, damage or other costs relating to the use of any data, any compilations, derivative works or modifications of the data". Explicit permission has been granted to incorporate data from the Department of Education, and made available through the Government Open Data Portal. Through Schadow1 Expeditions, the data from the collaboration of Department of Trade and Industry and the Deutsche Gesellschaft für Internationale Zusammenarbeit's private sector promotion program (SMEDSEP) has granted explicit permission for tourism points-of-interests (POIs) in the province of Bohol. The Schadow1 Expeditions mapping initiative has granted many of its expeditions data in the Philippines with explicit permission provided that it is tagged with source=Schadow1 Expeditions and OSM edits based from their contributed images in Mapillary be tagged with source:mapillary:user=schadow1. Contains maps data from National Land Surveying and Mapping Center (NLSC) under Taiwan Open Government Data License 1.0, which is convertible to CC-BY 4.0. Contains data sourced from PSMA Australia Limited licensed by the Commonwealth of Australia under CC BY 4.0. The explicit permission granted by the data.gov.au team (operated by the Digital Transformation Agency) is not valid for current CC BY licensed datasets, for which permission needs to be obtained directly from the respective rights owners. Contains suburbs data based on Australian Bureau of Statistics data. The above permission *may* also extend to the following datasets also incorporated. This is being investigated (2011-09-22). Australian Bureau of Statistics - Postal Code boundaries. Not yet imported? Contains data from the Collaborative Australian Protected Areas Database (CAPAD) 2014 and 2016, Commonwealth of Australia 2017. Australian Antarctic Division (DOEE), ACT Transport Canberra and City Services, Australian Wildlife Conservancy, Bush Heritage Australia, Department of the Environment and Energy, Forestry Corporation of NSW, Lord Howe Island Board, Nature Foundation SA Inc., NSW Office of Environment and Heritage, Parks and Wildlife Commission of the NT, National Trust of Western Australia, Queensland Department of Environment and Heritage Protection, Queensland Department of National Parks, Sport and Racing, South Australian Department of Environment, Water and Natural Resources, Forestry South Australia, Tasmanian Department of Primary Industries, Parks, Water and Environment, Queensland Trust for Nature, Trust for Nature Victoria, Tasmanian Land Conservancy Inc., Torres Strait Regional Authority, Victorian Department of Environment, Land, Water and Planning, and Western Australian Department of Parks and Wildlife. We have been given explicit permission from the Department of the Environment and Energy formalised with the CC BY 4.0 OSMF Waiver to incorporate their Collaborative Australian Protected Areas Databases (CAPAD) into OpenStreetMap provided that the above attribution is made on the Contributors page. GEODATA TOPO 250K Series 3 See this page for details on how to find subsets of this dataset. OpenStreetMap has been given explicit permission from ACTmapi further formalised via the CC BY waiver to incorporate ACT Government CC BY licensed geospatial datasets into OpenStreetMap provided that this attribution is made on this Contributors page. We have been given explicit permission to use all public spatial data, with the following attribution statement and disclaimer. "Contains data derived from the City of Melbourne's open data." "While all due care has been taken to ensure the data of this website is accurate and current, there may be errors or omissions in it. The City of Melbourne and its employees accept no responsibility for the completeness, accuracy or reliability of the data. The City of Melbourne and its employees also accept no responsibility for any loss, damage, claim, expense, cost or liability whatsoever (including in contract, tort including negligence, pursuant to statue and otherwise) arising in respect of or in connection with using or reliance upon the data in this website." Contains data and information derived from New South Wales Government public information datasets. The original datasets are available from Land and Property Information under Creative Commons Attribution 3.0 Australia Licence. We have been given explicit permission to incorporate and publish such CC-BY licensed geographic coordinate datasets under free and open licence, provided that primary attribution is made here and that each dataset used is also listed here in the format Dataset Name, Date Published, License, Publishing Organisation Name, URL from which originally retrieved now non-operative, currently available from Land and Property Information. Contains Protected areas of Queensland data © State of Queensland (Department of Environment and Science) 2018. Updated data available at http://qldspatial.information.qld.gov.au/catalogue/. Creative Commons Attribution 3.0 Australia with the OSMF waiver. "Contains data from Queensland government public information datasets. The original datasets are available from the Queensland Government data portal and are subject to Creative Commons licensing. This permission is granted provided that attribution of each dataset used is given in the format Dataset Name, Date Published, Licence, Transport and Main Roads, originally retrieved from http://data.qld.gov.au"
Contains data from South Australian government public information datasets. The original datasets are available from the South Australian government data directory http://www.data.sa.gov.au/ under a Creative Commons Attribution Licence. Where specific licence terms (such as Creative Commons) are applied to datasets, those licence terms shall prevail over any inconsistent provisions in this statement. We have also been given explicit permission to incorporate and publish such CC-BY licensed geographic coordinate datasets under a free and open license, including the Open Database License, provided that primary attribution is made here and that each dataset used is also listed here in the format Dataset Name, Date Published, License, Publishing Organisation Name, originally retrieved from http://data.sa.gov.au". This explicit permission presumably also applies when viewing the datasets using http://location.sa.gov.au/viewer/, but does not apply to the basemaps (Roads, Satellite, Topographic). Permission has been further formalised with the OSMF Waiver. Contains Vicmap data from the Victorian Government Data Directory: data.vic.gov.au under Creative Commons Attribution 4.0 International (CC-BY 4.0). The OSMF CC BY 4.0 waiver has been completed by DELWP at File:Vicmap_CCBYPermission_OSM_Final_Jan2018_Ltr.pdf. OpenStreetMap contains data from Main Roads Western Australia public datasets. We have been given explicit permission to incorporate and publish such CC-BY licensed geographic coordinate datasets into OpenStreetMap provided that primary attribution is made here on the Contributors wiki page. Permission granted via email from Sanath Jayamanna and formalised with the CC BY 4.0 OSMF Waiver. Contains data from Hobsons Bay City Council datasets on data.gov.au. Permission has been granted with this waiver, covering CC BY 2.5 and CC BY 3.0. Contains data from Wyndham City Council datasets on data.gov.au. Permission has been granted with this waiver, covering CC BY 2.5 and CC BY 3.0. Contains data sourced from Land Information New Zealand. Crown Copyright reserved. Land Information New Zealand gives no warranty in relation to the data, including its accuracy, reliability and suitability and accepts no liability whatsoever in relation to any loss, damage or other costs relating to the use of any data, any compilations, derivative works or modifications of the data. NZ Topo50 Gridless Maps: Sourced from the LINZ Data Service https://data.linz.govt.nz/layer/2343-nz-topo50-gridless-maps/ and licensed by LINZ for re-use under the Creative Commons Attribution 3.0 New Zealand licence. See LINZ's website and the OSM LINZ wiki page for more information. 1) The information supplied is provided for general information only. 2) The Department of Conservation makes no claims, promises or guarantees as to the accuracy or completeness of the information, or its suitability for any purpose. 3) The Department of Conservation does not accept any liability for the content and shall not be responsible or liable for any claims of any kind arising from the use of the information. 4) The Crown (through the Department of Conservation) remains the sole owner of the intellectual property in the information on this disk. Licensed from Statistics New Zealand under Creative Commons Attribution 3.0 New Zealand License. Licensed from Christchurch City Council under Creative Commons Attribution 3.0 New Zealand License. Licensed from Manawatu District Council under Creative Commons Attribution 3.0 New Zealand License. Licenced from Auckland Council under Creative Commons Attribution 3.0 New Zealand License. Licenced from Wellington City Council under Creative Commons Attribution 3.0 New Zealand License. The Antarctic Digital Database is copyright (c) 1993-2013 Scientific Committee on Antarctic Research. OpenStreetMap may use this data by permission of the SCAR. Information in the Antarctic Digital Database has been obtained from sources believed to be reliable but its accuracy and completeness, and the validity of the opinions based thereon, are not guaranteed. As every effort has been made to provide accurate information in this database, SCAR would appreciate it if users could indicate in writing any errors that may be noticed. SCAR is not inviting reliance on these data, and the user should always check original published data. The information in this database is subject to change. See the ADD terms for specific warnings concerning use of the data. ↑ Heaton, Brian. March 4, 2015. Maryland Legislation Would Encourage Release of GIS Data. Government Technology Magazine. ↑ Maryland Association of Counties. March 25, 2015. Senate Bill 94 Support. PDF.